The WELLKEEPER: The Complete Collection NOW AVAILABLE! It's here, folks! 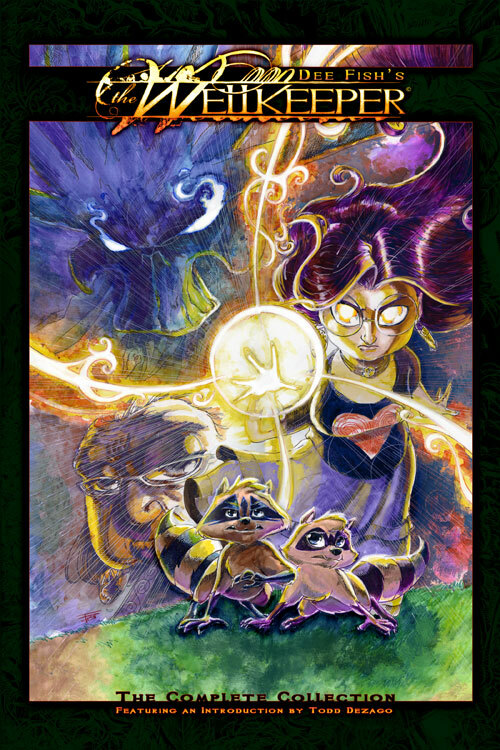 Now in one amazing volume, the entire fantasy adventure #graphicnovel series, The WELLKEEPER! All 12 thrilling issues, the exclusive #0 issue and a gallery of sketches, development art and guest art all contained in one massive 340 page book that can be yours for just $19.99! 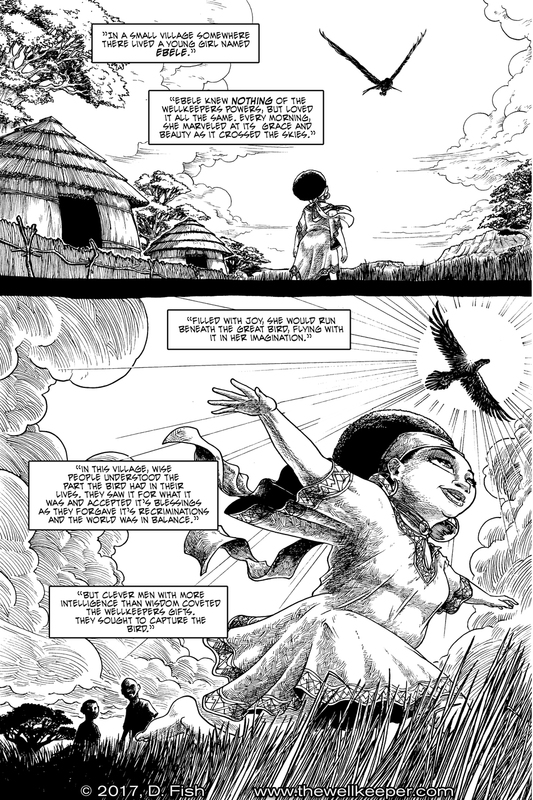 THE WELLKEEPER© is the tale of a young girl name Zoe, the latest in a long line of women known as Wellkeepers. She is charged with the task of guarding the living energies of the earth itself and is empowered to communicate and control those very forces. 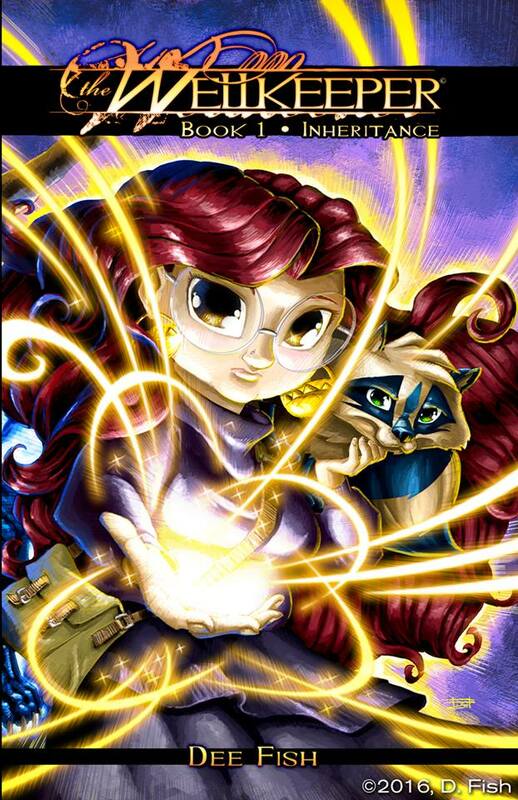 With these gifts, Zoe can talk with plant, animals and control the forces of life itself. 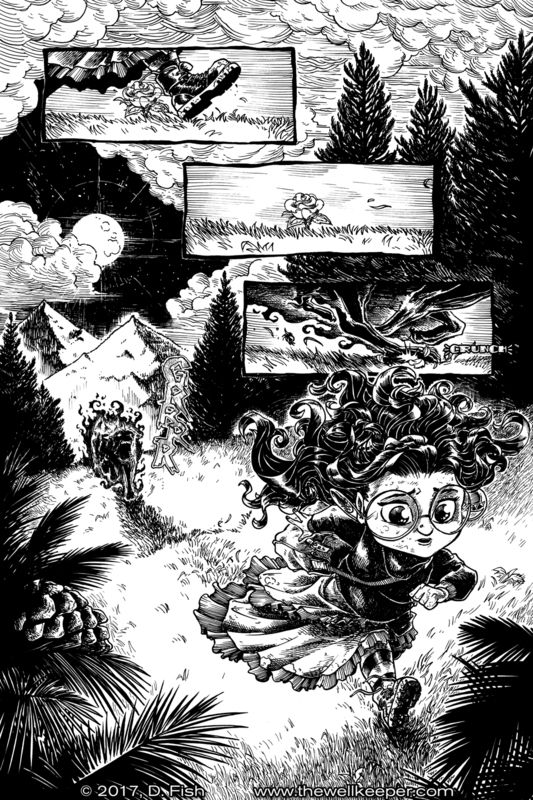 But she is hunted by dark forces that seek to destroy her to take her gifts and bring about the death of all things. THE WELLKEEPER© is a young adult adventure blending #humor, #fantasy, #adventure and danger to entertain all ages. CLICK HERE TO ORDER YOUR COPY AND DISCOVER THE ADVENTURE TODAY! 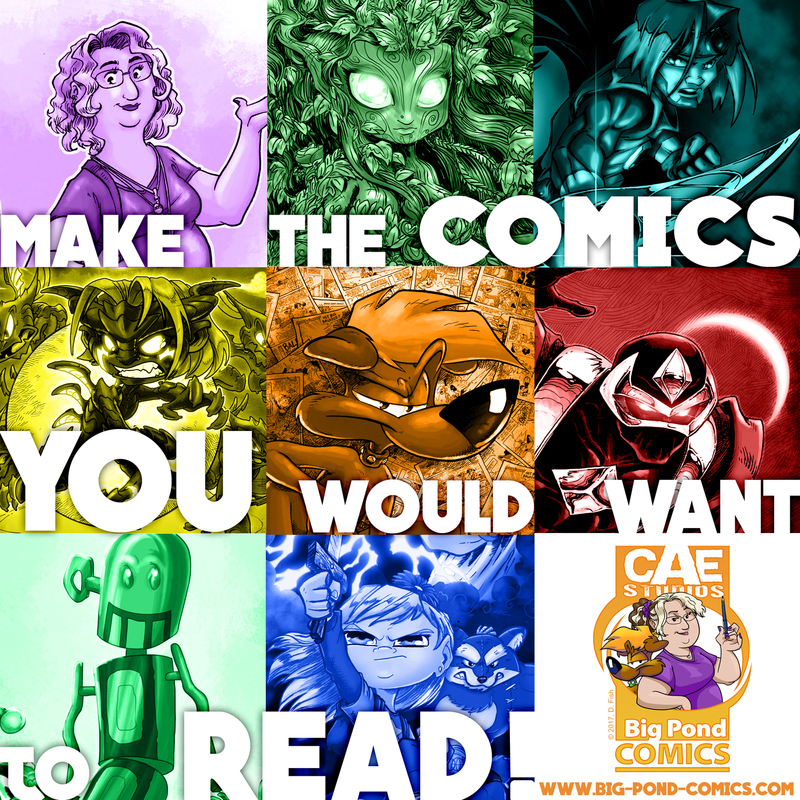 The Big Pond Comics Manifesto! MAKE THE COMICS YOU WOULD WANT TO READ! 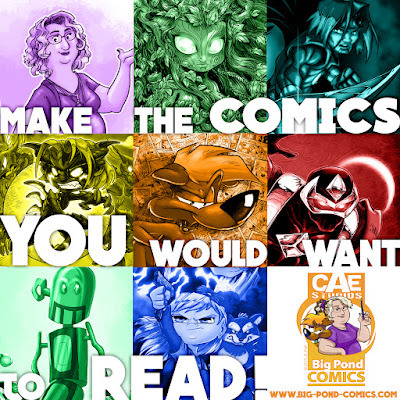 That's the manifesto of BIG POND COMICS! 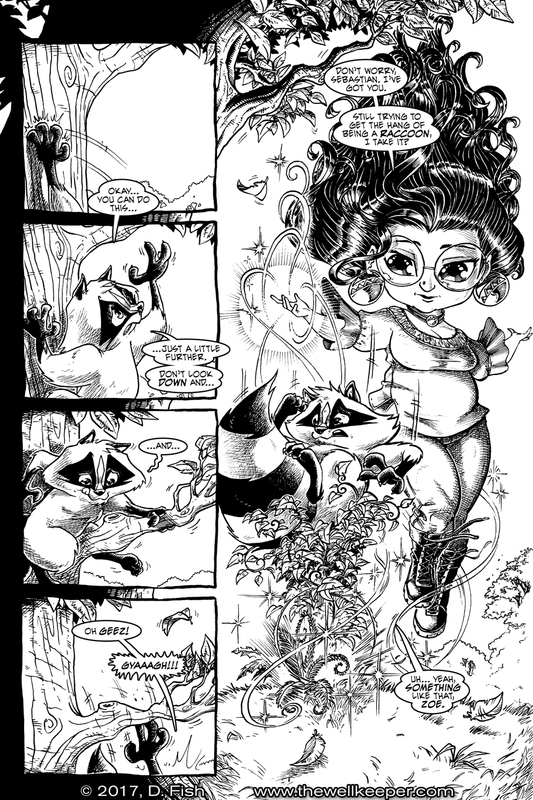 I began Big Pond in 2001 with the launch of my online and onGOING webcomic, Dandy & Company and it has expanded as the umbrella under which all of my own creations and key collaborations. 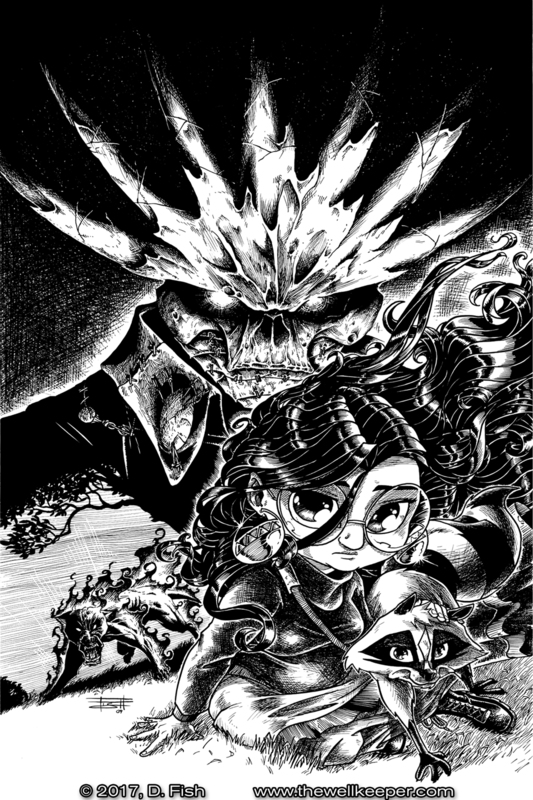 As a solo creator, I've published Dandy & Company, Scarred World: The Chronicles of Aegis, Apparition, Marjorie of the Weirdlings, Finding Dee and The Wellkeeper. Working with other creators like Martin Dunn, Marc Hammond and Valerie Stern, I've helped create Hooray for Harold, FETCH: An Odyssey and Tails to Amaze. But the one thing all of the comics I've made have in common is that driving creed. I make the comics nobody else is making. The books that I would spend my own money to buy if it was already out there. I make the books that I would want to read. It's really that simple. Now go and make some comics! 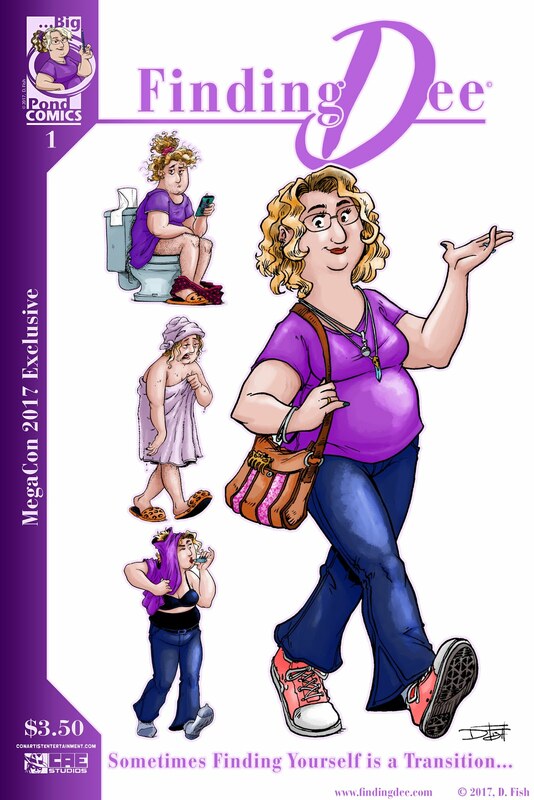 Read the awesome webcomics available online by clicking the covers below! New Comic Strips Every Monday and Wednesday! New Comic Strips Every Saturday! 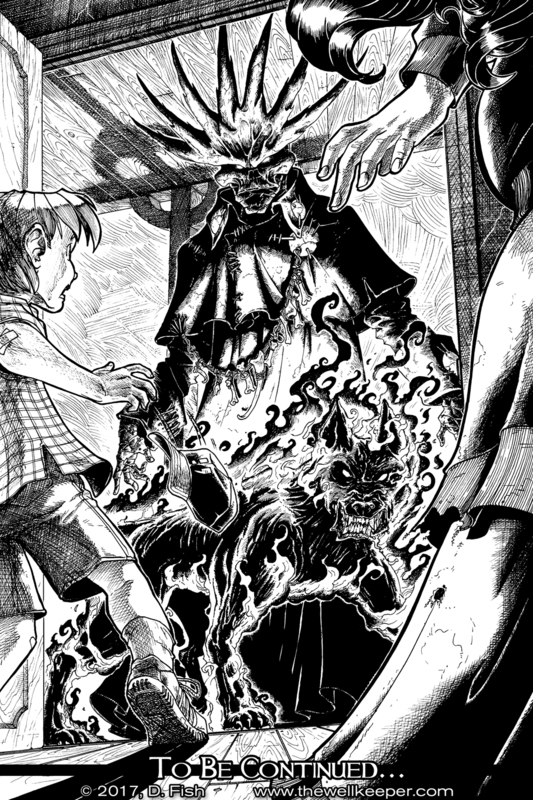 Order Copies of the Epic Fantasy/Adventure Graphic Novel! Hi. my name's Dee Fish. 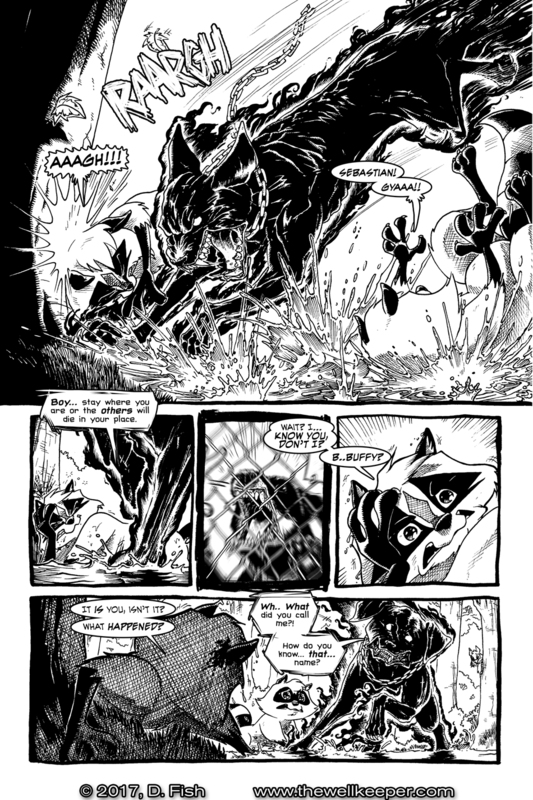 I'm an illustrator and cartoonist and creator of the online comic, Dandy & Company and artist of the comic, THE WELLKEEPER. All art and material © 2013, D. Fish. All Right Reserved. Simple theme. Powered by Blogger.